We are moving along through our latest book club. 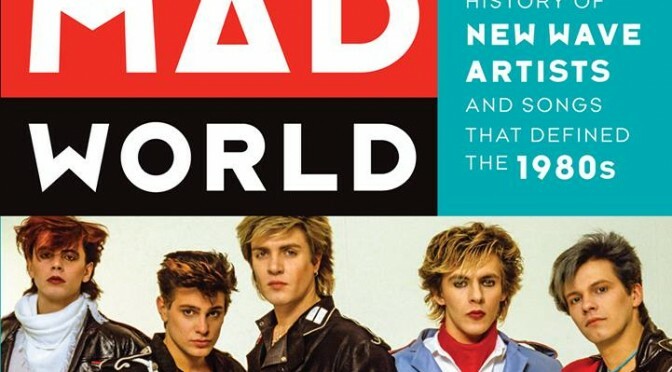 This time around, we are reading Mad World: An Oral History of New Wave Artists and Songs That Defined the 1980s. Each week, we are reading three chapters about three bands and their songs. This week, we are reading and discussing A-ha, Joy Division and The Smiths. Read those chapters and discuss right along with us! Confession time. As a kid, I hated this song and this band. Why?? Simple. It seemed to me that all the radio stations, video shows and magazine covers were ready to crown A-ha the next biggest thing. This wouldn’t have bothered me except it meant that Duran was then pushed from that position. This was completely unacceptable to me. Thus, I thought the song, the band, the video were completely overrated. Now, as an adult, I can view the song, the band, and the video in a much more objective frame of mind. It fascinates me how band member, Magne “Mags” Furuholmen, describes the song after acknowledging that it shifted and changed from its beginnings in 1977. He describes it as having a “melancholy streak”. I never thought about it before but I can see his point, now that I think about it. Then, to read, about how melancholy doesn’t mean sadness in Norway, but rather “a sense of longing”. I like that their music was not only influenced by Norwegian culture by also by bands like The Beatles and The Doors. Truly, the world was a much smaller place in the 1980s then it was in previous decades as influences could come from all over. One piece of their story that I found very interesting is how the record company had them record the song with a big time producer and how it didn’t sound like them or how they wanted the song to sound. Yet, they didn’t just accept but asked for a redo and it then became a hit. I give them credit for fighting for themselves and their music. Clearly, it paid off. I wonder, though, how many other artists just accepted what a producer did with their music and suffered for it (*coughredcarpetmassacrecough*). I suspect it is a high number of artists, unfortunately. Unlike Amanda, I loved A-Ha and spent countless hours on my beloved Casio keyboard picking out the notes to “Take On Me”. I did, and I’m not ashamed!! (I can still do it on piano, too…and it annoys the hell out of my kids, which I kind of enjoy.) I thought the video to “Take On Me” was the most innovative thing I’d seen since I saw Simon topple off of the pier backward in Rio, and that was all the convincing I needed to buy their music. To read that Mags had lived with “Take On Me” for nearly ten years before it became a hit was a surprise. I wonder just how true that might be for other artists. Do they have hits hidden in them that just sit there, waiting for their moment? His partner Pal Waaktaar had told him it was too commercial, too catchy. Maybe so. It definitely caught me from the first time I heard it, and that can’t be all bad. What I loved most about the song was that while the tune itself, and especially that beginning “riff” was energetic, maybe even happy (although written in a minor key) – the words were anything but. It’s a sad song. I really liked that feeling of opposing emotionality between the music and lyrics. Although I have this album and consider myself a fan, I didn’t know anything about another version of this song OR another video. So…I need to find it. It’s especially sad to me to read that the band members really no longer speak, and that to some, “Take On Me” is a bad memory at this point. That seems to happen with so many of these bands that had a major US hit in the 80s, and while part of me is sad – I can’t help but understand. Having an entire career or body of music condensed to just one song is really unfair. It’s only one excerpt of the story. Mags ends the chapter by saying the following: “There are bands who continue on just to keep making money. Every year they’ll do the summer tour. They don’t talk to each other backstage, they sneak in separate sides of the room.” I think that’s incredibly sad, and while I suspect that at times I’ve supported a band or two that handled themselves that way, I think that if I knew – it would likely ruin the experience. You like to think that members have some sort of camaraderie or connection to one another that goes beyond the stage. At least, I do. He makes the comment that Morten (lead singer) continues to tour and plays “Take On Me” without he and Pal (changed his name to Paul). He’s the only one that people will pay to come and see do that because it’s his voice that people recognize. This seems to be a common theme in bands – the lead singer becomes the band for many. This gets mentioned in every fan community – including Duran Duran. Everyone says that Simon IS the band. He’s the voice, that is true. But, is he the sole provider of the heart of the music? Probably not. I suspect that the same holds true here. I discovered Joy Division at a time in my childhood that I really needed it. To me, both the music, lyrics and voices were haunting and, yet, memorizing. At that time in my life, I was ready to learn more. In my typical fashion, this desire for knowledge wasn’t about musical instrumentation, but about the society and culture surrounding music and musical genres. I loved being able to place Joy Division into the bigger musical scene of post punk UK bands. I could see the connection with punk and what would come next, especially for the remaining members of Joy Division. I’m still fascinated and was quick to purchase the film, the biography, Control, about Ian Curtis. This particular chapter gave me two aspects of Joy Division to think about that I had never really thought about before. First, I love how the song was described. The lyrics were described as “dark”. This I knew. I could also see the song called an “anti-love song”. Yet, the image of listening to this song with a broken heart hit me. It is the sound of “fighting through” the pain of the end of a relationship. This probably isn’t the most common focus of a song, which I really appreciate. The other thing that this chapter made me think about is how the band naturally fit together. Bernard Sumner talked about how each band member, each instrument was an ingredient in a recipe. He went on to talk about other bands who have tried to fall into this natural fitting together with limited success. I couldn’t help but to think of other bands or even different line-ups in bands. Band chemistry isn’t something you can force. When it works well, it is obvious. This chapter reminds me of this. Peter Hook’s assessment of the band – “each member was playing a separate line” was interesting. The sum has more value than all the parts, basically. I think that’s true, regardless of the band. When you’ve got a formula that works – as Amanda said – it’s obvious, and I think it’s integral to the success of a band. You have to have all the right parts. If something doesn’t fit or is missing, you can sense it from the audience, and there’s no “faking” that. Your fans see it. They feel it. They hear it. I absolutely hate the idea that the ending to Joy Division is seen as “rock ‘n’ roll”. It’s so cliché. I don’t see Ian Curtis’ death as a “blaze of glory” at all, but I think the natural, human intention is to glorify the whole thing so that it seems less tragic, less sudden, less scary. I just think it’s sad beyond reason. The authors did a brilliant job in describing The Smiths. The song, “How Soon Is Now?” is described on page 235 as “an epic of adolescent angst: It takes a handful of hurt feelings and makes them into a masterpiece.” Lori Majewski writes, “no one ever captured loneliness, insecurity, and fumbling immature awkwardness like he did,” on page 236. Johnny Marr affirms this idea by saying how they spoke to “vulnerable” people looking for someone on their side. I’m sure that Morrissey’s lyrics at a lot to do with that. This song, in particular, seemed to capture what rejection and loneliness feels like as it tells the story of someone who attempts to put himself out there only to continue to be alone. While I know that there are many people out there who thought Morrissey was “whiny” or annoying with his views on issues like animal rights, I appreciated many of his lyrics. It seemed to me that someone out there understood how I felt as a teen. Even as an adult, when I heard this song played in clubs, I was immediately transported back to that time in my life. It still resonated with me. I do not like The Smiths at all…and Morrissey even less. I’ve always felt they were whiny (whether it’s just Morrissey or The Smiths) and going on about how horrible life was without really trying to do much else other than whine. Not edgy enough for me to consider them dark or brooding, not at all hopeful or uplifting, I just find their music to be endlessly blah and depressing. I may be the only person in America (much less the world) to feel that way – but I comfortable here on my own. To this day I switch the radio when they come on, and I’m still cheering for the fact they’ve never gotten back together. I hope they keep that up. Besides, Morrissey never makes it through an entire tour without canceling far more shows than I think is acceptable anyway. 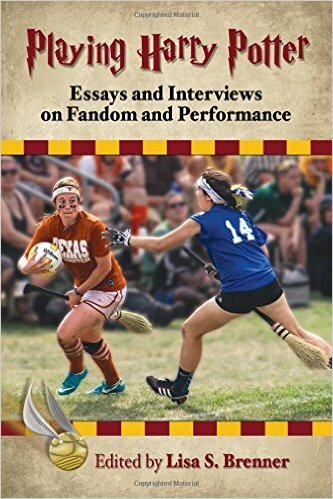 It’s the one chapter in this book that I stand in complete, full 100% agreement with Jonathan Bernstein. Not a fan. What is really funny, at least to me, is that Johnny Marr says that “You were either on the side of the Cure and Depeche and the Smiths, or you were on the side of the more mainstream acts.” I have to wonder if he is meaning the bands themselves or the fans, because in my case – I loved Depeche Mode and The Cure and New Order. I loved Spandau Ballet and Duran Duran, among many others. I did not love The Smiths. Join us next week as we sink our teeth into Tears For Fears, OMD and Ultravox!